If you have not been satisfied with a small TV such as a 40-inch TV, then you've probably been searching for the best 65" TVs around. You may have also noticed that the options available out on the market are overwhelming. All the big TV brands like Samsung and LG compete with each other with every product they release. New features, new graphics, new programs, the list is endless. Choosing a good TV from among this batch of products can be close to impossible. You want to watch your favorite shows, but instead you've been spending your free time looking for the ideal TV. To help you out, we compiled a list of the 10 best 65" TVs available for purchase right now. They are new, fresh, and have all the necessary features to keep both you and/or your family entertained. We spent a lot of time picking these TVs. Our choices are all based on reviews, expert opinions and general research. It's important to have a TV that you can rely on, and that's why we invite you to scroll through a few of the TVs that we think have conquered the hearts of many viewers. 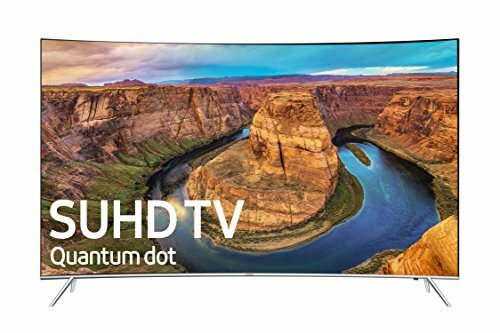 What To Look For When Buying A 65 inch TV? What are the Dimensions of a 65 inch TV? In the list below we included all the best 65" TVs available out on the market today. Hopefully, these reviews will help narrow down your options, and help you choose a TV quickly and efficiently. It's important to write down everything you want from a TV as you go through the list, this will ensure that you only choose the TVs best suited for your home. Looking for something a little smaller? See our review on the top 60 inch TVs. Looking for a bigger TV? Try one of these amazing 75inch TVs! First on our list we have the Samsung MU8500. Samsung is one of the most popular brands in their niche, and they definitely know how to keep their customers satisfied. Since buying a big TV can also be a big investment, their goal is to make their products as affordable and as functional as possible. This Samsung TV is both, and it also looks appealing, too. If you aren't too fussed about the size, you can try one of these great 55 inch TV's. The curved screen of the TV has definitely been added to show the sophistication of the product, however it also helps in getting good views from all around the room. The double stands on each edge of the curved screen also help keep the MU8500 well-supported and sturdy. The Samsung won't fall over with any bump, and is definitely more on the durable side. Weight-wise the TV also isn't overly heavy, weighing in at only 75 pounds it's relatively easy to move around. Looking for something smaller and lighter? Try one of these highly rated 40 inch 4K TVs. The MU8500's strength is its ability to show the unwavering contrasts between both darks and lights across the curved screen. This provides the viewer with an almost 3D experience, especially when you combine it with the improved contrast qualities. The legs of the TV itself are about 36" apart, meaning you won't have to worry about it tipping over like we mentioned before. With the Triple Black technology, you will be able to see all the details that you have been missing when watching HDR movies with dark scenes. Directors often place a lot of different clues and ideas within the black areas of the curved screen, and these are not easily discernible on average TVs. The Triple Black tech will help you see everything you've been missing all this time, and more. Thanks to the improved contrast, the picture is also improved with expanded color variations that add depth to each scene. At least a billion more shades are visible with every frame, and the UHD 4k TV screen quality helps you experience all of these colors in the best resolution. The Auto-Depth enhancer that is provided on most curved TVs also helps engage you in your favorite more than ever before. With a motion refresh rate of about 240Hz, you will also be able to say goodbye to any sort of lag or motion blur that you may have been experiencing with older TVs. Whether you will be playing a new game, or watching sports or an action movie, you'll be able to rest assured that you'll see it in its full glory. For more game friendly TVs, check out our review of the top 4K TVs for gaming. Why We Liked It - Being an Amazon's Choice product, this is definitely one of the more popular 65" screens around, despite it being on the market for only over a year. LG is another leading brand in the industry that provides the market with big, quality TVs. The LF6300 65inch LG TV has a sturdy, single stand and prides itself on having a simple set of features that are ideal for any average TV-watcher. No matter if you watch your favorite shows once or six times a week, you will be glad to own this intuitive LG screen. With a full HD 1080p resolution, the picture on this TV remains crisp and vibrant. Also, being an Energy Star rated product, you will be able to pay less for your electricity bills when you install the TV. This means you won't have to worry about limiting your relaxing and entertainment time when you should be enjoying yourself. The TV is also dlna compatible, which means you will be able to stream videos files from a Windows PC. This is definitely a useful feature if you find yourself often struggling to get everyone to see what you're showing on a small laptop screen! With the WebOS 2.0 feature, switching between programs won't feel like a nuisance anymore. It will be a breeze, and checking things will take seconds instead of minutes. You will be able to access anything within seconds, and the Launcher and Live Menu make it easy to switch from each and every content page to the other. One of the most frustrating things when dealing with Smart TVs is actually setting them up. LG was well aware of that, and that's why they made sure to make their set-up easy and intuitive. The wifi connection is strong, and it's easy to connect the TV to any external devices. With IPS, you will get premium color accuracy. Thanks to the wider viewing angle and durability of the IPS screen, you will be able to enjoy the vibrant, premium colors for years to come. The clarity and sharpness of the 1080p screen itself will also help you enjoy your old favorite movies and shows like never before. The LED TV technology uses small diodes that help illuminate the screen. Since LED is superior to the CCFL technology that used to be common, the TVs are now slimmer, and more appealing. The diodes help contrast both darks and lights right next to each other, helping give more depth to the picture. Why We Liked It - This LED TV remains simple, effective, and allows you to get where you want within seconds, without scrolling through piles of useless features that you will never use. This 65inch LG TV is definitely a great investment for someone that wants to buy a quality TV on a budget. The app performance and network connection is also fantastic. It can be even more perfect if you know how to tinker with the settings to get them to be faster and more efficient. The key is to hardwire the network connection instead of using the wifi that is by default available within the TV. This will greatly increase the speed of the working apps, and the 4K TV output will start looking stunning. There will be no need to deal with blocky videos and/or interfaces. That's why it's important to not rely on the wireless antenna and write it instead, since not relying on the antenna will help you get the ultimate premium LG experience for an extremely affordable price. If price isn't an issue, consider these top-rated 65inch 4K TVs below 2000 dollars. This fantastic 65 inch 4K TV by LG will allow you to surrounded yourself with rich, clear sound that will be enjoyed by everyone, no matter where they are sitting. Thanks to the active HDR, the TV is also able to analyze every movie scene by scene, to give you the ultimate HDR experience, with the best color and contrast. The IPS 65inch 4k TV panel technology uses in-plane-switching that allow every viewer to see a non-distorted picture from all angles. This means that all the colors also remain the same, no matter what angle you look at them. They remain rich, vibrant and the contrast remains consistent. With Channel Plus, you will have access to more than 50 free streaming channels, ranging from TIME, People to Sports Illustrated. With so many options, you won't want to leave the sofa anytime soon, and you will certainly sit exploring the options for days, if not weeks. Thanks to the color mapping feature, you will be able to experience natural, lifelike scenes with lifelike color that is usually only seen in real-life scenarios. The True Color Accuracy tech will give you accurate color gradients and hues that will correct all color distortions. Why We Liked It - The active HDR and local dimming features help you get a customized, special experience that enables you to enjoy the colors and contrasts at their best potential. See more 65-inch TVs under $1500. If you have been looking for the ideal living room TV, then the Samsung KU6500 is the ideal candidate. Not only does it have a curved screen to help engage everyone in the action, but it also has a sturdy, elongated stand. If you find that everyone is constantly running around the houses, knocking off furniture left and right, then this sturdy Samsung will be a perfect addition to your home. It has great balance, and doesn't wobble. Thanks to the TV's Energy Star rating, you can also rest assured that you won't have to pay a fortune for using your new prized possession. The electricity bills will go down, and you will be able to enjoy more, for longer. The best thing about the KU6500 is its ability to provide you with an incredible view, no matter where you're sitting. 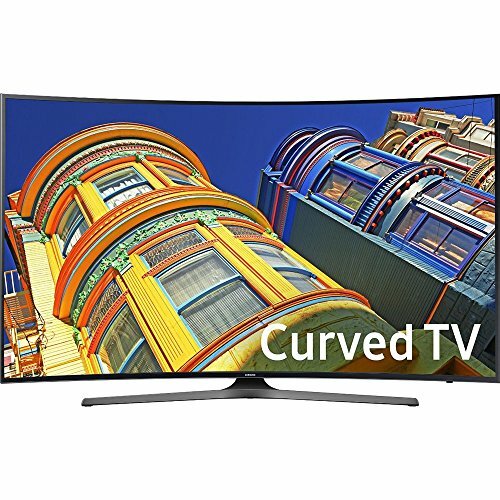 This Samsung model was made in 2016, and with its curved screen and 65 inch 4k TVs Ultra HD resolution screen, you won't want to stop watching. You will be able to discover details you have never seen before, thanks to the clarity and sharpness of the picture. 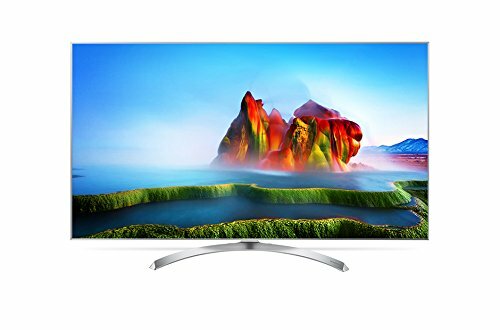 The KU6500 65inch 4K TV can be bought for under $1000 and is known for providing its viewers with the best, most vibrant colors on screen. They include all the latest color technologies, ranging from PurColor color to UHD dimming. If you are looking to have the ultimate lifelike colors right there in front of you, then this Samsung will provide you with exactly that. The Auto Depth Enhancer will help you enjoy your HDR movies as if they were in 3D. It helps arrange the contrast in different areas of the TV in such a way that you will be able to feel like you are walking into the picture yourself. One of the Samsung's better features is definitely its ability to upgrade lower resolution movies. This allows you to watch all your favorite shows with enhanced detail, in HD resolution. This engine is definitely one of the most valuable ones when it comes to quality entertainment. Why We Liked It - With over 400 positive reviews, this TV has been serving hundreds of people worldwide, and watching TV shows in the evening has become a pleasure. This 65inch LG has conquered the hearts of many. Not only is it one of the most appealing-looking TVs on the market, but also it has plenty of superior options that many other Smart TVs don't seem to have. It has only been on the market for over a year, but that has been more than enough to satisfy hundreds of customers. The TV itself weighs about 52lbs, which also makes it easy to transport. It's also very compatible with wall mounts, and stays sturdy on the wall if mounted well without any issue. One of this LG's best features is also the viewing angle. If you have a lot of friends, a big family, or just a busy home, then this TV will be the ideal for the living room stand. The 65inch LG J8000 is meant to entertain everyone, regardless of where they are sitting, with the most ideal, crisp picture. No matter where you move, you will be able to fully enjoy your TV shows and movies from all positions. The viewing angle is definitely better than average and helps the TV stand out among other Smart TVs available for purchase today. The color reproduction here is also fantastic, it's slightly warmer than the average TV, and that definitely adds a layer of extra depth and richness to the colors. The contrast between the blacks and lights is also remarkable, giving a second layer of depth to every experience. The blacks in particular are great and allow you to see more detail than ever before. 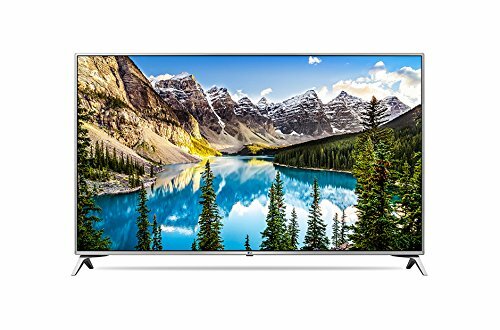 This 65inch LG has also gotten extensive praise for its ability to provide their viewers with quality audio without the use of sound bars. Since this TV is, after all, a 65", it also has a suitable price range for the services that it offers. This means that buying sound bars may not suit your budget currently. Luckily, there's no need to worry, since the TV alone can help engage you with its default sound qualities. Why We Liked It - Thanks to its viewing angle, everyone will be able to sit around the 65inch LG TV, and not directly straight in front of the screen. The color and picture quality remains HD from all angles; this is a rare feature, and that's why this 65inch LG is ideal for a living room TV that you want to use to entertain guests and family with. 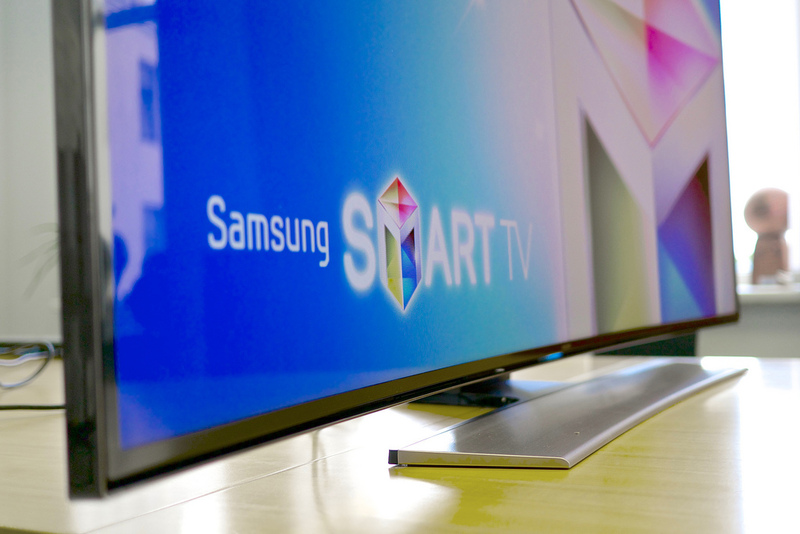 The Samsung JU6700 is definitely one of the most feature-packed TVs on this list. If you want a Smart TV that will allow you to experience every feature to its fullest, this TV is the one. It has a sturdy, built-in wifi connection and a curved screen that helps add to the overall aesthetic of the design. The screen itself is what makes the TV draw you into action. 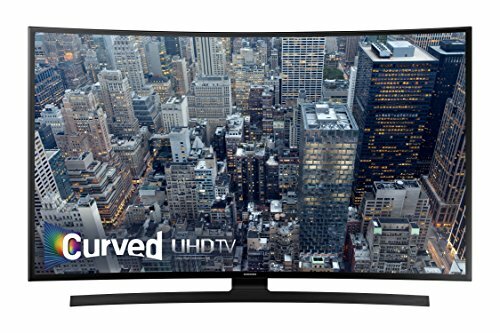 The curve helps to create an immersive viewing environment for everyone, whether you're playing games, watching sports or searching for a new program to watch. Every seat becomes desirable when you're sitting in front of the JU6700, and fighting over the front sofa will become a thing of the past. This Samsung is definitely packed with features, and its 4k UHD HDR resolution will help you stay engaged throughout the whole duration of your favorite shows and movies. The JU6700 screen is also able to render images in 4x the resolution of a regular screen. These pristine graphics will satisfy even the fussiest of TV watchers. With the PurColor technology, you will be able to see vibrant, accurate colors that will rival even real, everyday colors. All the subtle and specific shades of color and gradients are the difference between average and quality TVs. The Samsung is able to flawlessly blend primary and secondary colors to give you the ideal picture. The Samsung is also known for its fantastic upscaling abilities. With the JU6700 you will be able to watch various formats of videos, while being able to enjoy them in full, HD resolution. Everything you stream will be upscaled to clear, 4k UHD HDR clarity that will engage you within seconds. The Ultra Clear Panel technology will ensure that you see the best picture, no matter from what angle you look at the screen. The screen is able to absorb ambient light and keeps reflected lights softened and at a minimum. This means that no matter how bright or dark your room is, the TV will respond accordingly to give you the best, worry-free viewing experience. Why We Liked It - The TV comes equipped with features such as HDR resolution, UHD dimming, lifelike images and much more. One thing is sure: you won't regret purchasing this TV. It will help you explore all of the functions of every HD Smart TV through an engaging, quality picture and through easy, intuitive navigation. The Samsung KS8500 also has the superior curved TV screen that helps engulf just about anyone. With over one billion variations of color that help provide the idealistic, lifelike picture, you will be able to enjoy games, nature shows and sports alike. The KS8500 is also equipped with a universal remote that helps you easily and intuitively navigate through the interfaces. Switching from Live TV to streaming will be a breeze. This easy access makes the KS8500 one of the most popular Samsung TVs on the market; it's easy-to-use for everyone, the set-up is easy and the whole family can enjoy its features. From streaming programs, to gaming, this Samsung will allow you to enjoy all your favorite entertainment stress-free. The HDR 1000 mirrors will also help you experience your HDR movies and shows as the directors intended you to with high contrast, and vivid graphics. If you have ever wanted to watch your favorite movies in full, radiant, HD glory, then this Samsung will give you just that and more. With Dynamic Brightness, you will see even the minutest detail within the darks, and within the lights. Samsung's HDR 1000 innovation is definitely something that has impressed many customers so far. The Quantum Dot Color technology will allow you to see the most rich and vibrant colors that used to seem dim and unimpressive on more regular TVs. This technology is ready to rival even real life colors, as they help you see even the most insignificant of nuances. With Quantum Dot Color, all the gradients and hues melt seamlessly between primary and secondary colors and you'll be able to enjoy a whole variety of movies with this new tech. Images will become more lifelike and realistic thanks to the ultra-slim bezel. Not only it helps the screen and TV itself look good and appealing, but also with an edgeless picture, you will be able to enjoy more than ever before. You will be 100% engaged in all of the content that you will be watching, regardless of what it is. Why We Liked It - The UHD Dimming will also allow you to place your new TV anywhere you want within your home, without worrying about pesky reflections. 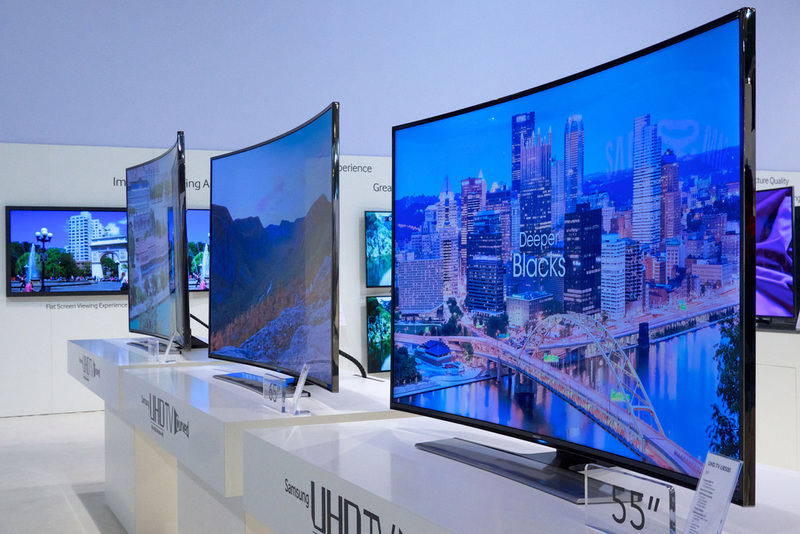 We think you'll enjoy: Top 65 inch 4K TVs Below 1500 bucks. The Samsung MU8000 is one of the Samsung 65 inch 4K TVs that took a huge step in the right direction with its 4k UHD HDR and extreme contrast qualities. Not only that, the feature that many people seem to buy this TV for is the crisp motion. If you like playing games, or like watching sports and action movies in general, then we can 100% recommend the MU8000. If you have been missing all the details that occur within the darks and brights on the flat screen, then the Samsung can help with that too. One of their goals, when manufacturing each of their 65 inch 4K TVs, is to make them in such a way to help you experience movies and shows in a new, original way. Thanks to the extreme contrast between the darks and lights, the colors are expanded and have more depth. This depth definitely helps to engage you more, helping you enjoy a frustration-free viewing experience. The clutter free clean cable design of the Samsung also helps keep your living room organized and clean. The cords are pulled through the base of the TV to help keep the design aesthetic, clear and appealing. With the Premium UHD colors technology, you will be able to see rich and vibrant colors even when watching old movies. The 4k resolution color overdrive extreme is a step-up from all the previous color engines that have been introduce on the market. Every scene is adjusted individually to give you the most HD experience possible. The Triple Black tech allows you to see dark scenes in a new light. Whether it's daytime or nighttime, you will be able to see even the simplest details within the darks. Directors often direct their movies base on atmosphere, and being able to see what's happening within the dark parts of the screen is vital. With a motion rate of 240, you will be able to enjoy all fast-paced movies and games without any sort of input lag. This a brilliant feature for those that want to enjoy their media in a premium, HD way. Why We Liked It - It's the ideal TV for anyone that wants to see action scenes without even the slightest amount of motion blur. Fast scenes will come to life, and you won't be left frustrated by slow moving frames. This Samsung is the ideal TV to have either in your bedroom or living room. With 4x as many pixels as a regular TV, you will be stunned by the HD qualities of this flat screen. This means that you will be able to get 4x as many pixels as you would with a regular, full HD TV. You can easily mount the 65inch TV on a wall, too, and even use it as a monitor for your computer to stream videos if you have an HDMI ports connection. Even though the Samsung doesn't come with the optimal settings already in place, some tinkering with the settings will allow you to customize the picture to something that suits your surroundings. All you will need to do is go to 'expert settings', choose them yourself, or look up the best combinations with a quick Google search. With the 4K Color Drive, you will be able to experience real life through a flat screen, color wise. Samsung is known for the way they manage the colors on their screens, and the MU6300 is no exception. The latest trend in home entertainment is also the quality of contrast within the picture. With it's wide colors range and contrast options, you will be able to clearly tell apart all the light and dark transitions everywhere on the screen. With Essential Black Pro you will be able to see even the darkest of scenes with rich detail. If you are tired of the dull, faded-out blacks that are common on average Smart TVs, then this Samsung will be a huge improvement. With 4k resolution and more pixels, you will be able to step up your viewing experience with the UHD tech. There is a clearly discernible difference between than a Full HD and UHD screen, and you will be able to tell the difference as soon as you set up the 65inch TV65inch TV. The colors will become more alive, as will the gradients, hues and contrasts. Watching shows with motion blur and input lag isn't a fun experience, and that's why Samsung decided to develop their 65inch TV to deal with that problem. Sports and games will become infinitely more enjoyable with the 120 motion handling rate. All action scenes will be smooth, crisp and will include no amount of blur. Why We Liked It - The OneRemote that also comes with this TV will help you navigate through the menus and interfaces within seconds. No input lag, no blur, you will be able to skip from program to program as you desire. Watching a movie? You can switch to playing a game within seconds. With over 8.3 million pixels in every picture, you will be seeing four times the HD resolution of an 1080p TV. You will be able to see breathtaking, rich colors and contrasts even when watching old shows and movies. The TV itself has a resolution of 2160p, and there's no doubt the difference between a 1080p and 2160p TV is clearly visible. Vizio's motto is to provide you with a well-contrasted image that also has the ultimate HD clarity so that you can experience every detail as the directors intended you to. 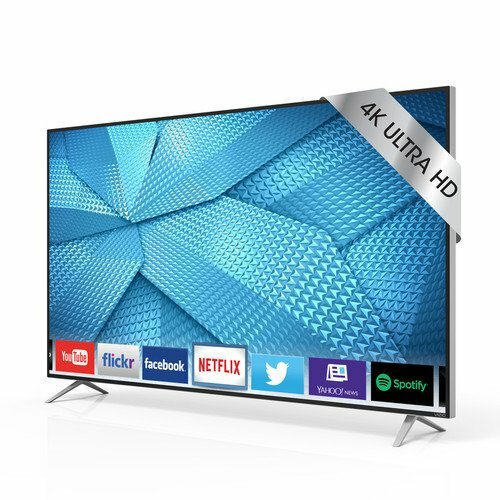 The LED TV lights that are featured on this 65inch TV have been intelligently engineered to help adapt the screen content to the ultimate HD image. Thanks to the LED lights being located all around the screen, you will be able to experience the lights and darks at the same time providing you with the ultimate immersive experience. The Vizio comes with automatic updates that will help keep your software updated and running quickly and efficiently. You will get the latest upgrades; programs and patches that will help elevate your experience each time. It will also help your TV run quickly and efficiently for a long time, ensuring you won't have to tinker with it on your own to help improve the setting. The simple and smart interface will also allow you to switch between programs within seconds. You will have a variety of popular apps at your disposal, and with the UHD resolution you will be able to enjoy them twice as much. With Active Pixel tuning, the pixel-level brightness adjusts on its own with every image that comes onto the flat screen. This helps you have a more immersive experience thanks to the live adjusting that the 65inch TV does on its own be default. This helps increase both accuracy and contrast within the image as it updates on the go. The TV also reforms any content that comes in 720p or 1080p HD to Ultra HD. This ensure that you will be able to enjoy both old and new movies, no matter what resolution they come in. The TV will help configure and adjust the picture, color and resolution to help give you the ultimate, premium viewing experience. Why We Liked It - Since the LED lights adjust on the fly, the whole movie watching experience will become stress-free, and you will be able to lay back and enjoy the almost 3D image. Whether you are buying the first, the second or the third TV for your home, making such big informed decisions can be hard. You can never be fully sure which TV will be ideal for you, your roommates or for the whole family. There are, however, several TV features that you can explore and delve into. Exploring all the default Smart TV features, as well as the more extravagant ones, will help you make a well-informed decision on which functions are actually useful for you to have, and which can be avoided. This will also help determine your general budget. To help you out, we gathered information on all of the vital Smart TV features and put them into one comprehensive TV buying guide. You will be able to get only the most important information about all the functions and features of modern 65" TVs from the overviews listed below. After hours of research and evaluation, we are sure that this TV buying guide and list of things to look out for when buying the best 65" will help give you a more guided overview as to what 65inch TV you should buy. First of all, you should establish a reasonable budget. 65" TVs are definitely not cheap, and you will still have to take into consideration all of the other expenses. Expenses such as Netflix or Hulu subscriptions, as well as any other programs, and of course the electricity bill. However, we have reviewed our favorite 65 inch televisions for under $1000 each. Luckily, all of the TVs listed in our TV buying guide review section are Energy Star rated products, which means they consume twice as less electricity as a normal TV. This also means that you will be able to fully relax when watching your TV. There will be no need to have that nagging thought in the back of your head; involuntarily counting the expenses you will have to pay for enjoying your daily entertainment. You should also look to invest in a quality built TV that will last you for years to come. It's vital to not go for cheaply made products, just to find out that you need to replace them within five months of use. Most TVs nowadays can be recognized as Smart TVs. This, essentially, just means that you will be able to connect your TV to a wifi connection. 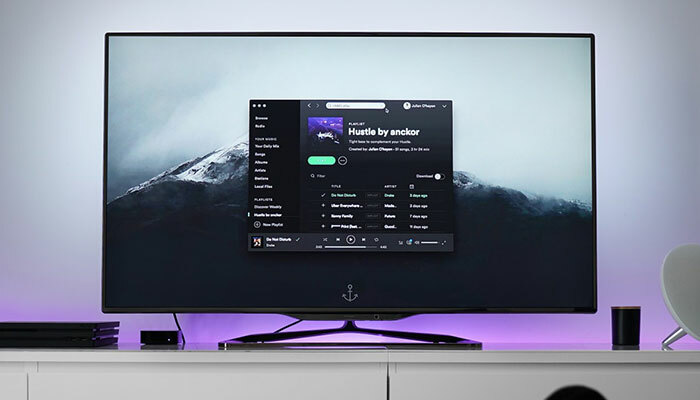 Most of the TVs now have a stable antenna that allows you to watch all TV shows without disconnecting, or have an interrupted and laggy connection. Smart TVs allow you to have access to all the popular programs, such as Netflix, HBO and Hulu so that you can watch them live. These programs of course also have separate subscription programs that need to be paid for. 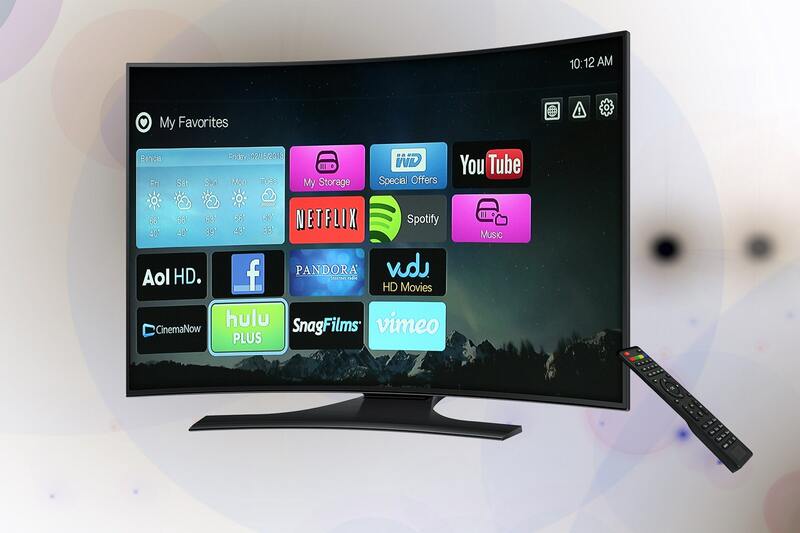 Regardless, with a Smart TV, you will be able to surf the web, stream content from your phone/laptop and much more. We definitely recommend investing in some of the aforementioned programs if you want to fully experience any Smart TV. They have great services, are relatively cheap in the long term and provide everyone with good, quality, compatible movies and TV shows. A strong wifi connection in every Smart TV will also allow you to set-up the new device in any room in your home. Since connection won't be a problem, you can feel free to set it up wherever you like. You will be able to watch all of your favorite shows uninterrupted and in peace. Since most people usually do work around the house when the TV is on, it can be frustrating to keep grabbing the remote and switching channels manually. Luckily, most SmartRemotes nowadays have a voice recognition feature that will allow you to speak directly into them. This is also a very useful feature for big families. Since some TVs tend to be hard to learn to navigate, this feature may prove to be extremely useful for kids. That way everyone in the household gets the best out of the new TV, without any frustrating experiences. When looking at TVs, it's easy to see the following jargon popping up: HDR and HDR10+. Since many people don't know what exactly these features give you, we will quickly run over the definitions. The word-for-word definition of HDR is High Dynamic Range. In short, HDR will offer you a picture that has better contrast, better control over bight and dark points on the picture and a wide colors palette. Essentially, HDR helps make your viewing experience more rich and vibrant. The idea behind all of this is the fact that out eyes can see much brighter whites and darker blacks than we have seen up to now on average TVs. The fact that many companies have failed to represent the contrasting picture faithfully, led to many TVs having a rather dull, flat picture. Luckily, all of this has changed with HDR. With HDR, you will be able to watch old movies and TV shows while experiencing them in a new manner. You should notice a significant difference when comparing average TV screens to TV screens with HD, mainly due to the realistic colors that come very close to real life. Dolby Vision definitely reformed the home entertainment market when it first became incorporated into regular TVs. Compared to HDR10+; Dolby atmos is definitely a step up in the game. Dolby atmos has a 12-bt color depth, and when compared to the 10-bit of the HDR10, you can easily see the difference. It may seem like there shouldn't be much difference between 10-12-bit color depths. That, however, couldn't be further from the truth. 10-bit color depth only gives you access to 1 billion colors, while 12-bit color depth gives access to over 68 billion. That is definitely quite the difference, and it probably puts the fact more into perspective than the 10-12 bit comparison. Regardless, Dolby Vision allows you to have a more accurate, true-to-life viewing experience than an HDR10 TV would allow you to. It's important to mention that all of the TVs that we listed are Energy Star compatible. This means that you will be able to have your entertainment stress-free, without worrying about outlandish electricity bills. This is the ideal solution for anyone that is looking to have an economic TV in his or her house. When switching to Energy Star, you will definitely notice a big difference in your bills. The system works great, and keeps the TV running at a reasonable set of settings that are beneficial to the home economy. Every TV is different, and that means that each TV will have something different to offer you. Some TVs may have a stunning motion rate, but the resolution isn't as good as other TVs. Or you can have a TV with a very sturdy wifi connection, but there are only a few streaming programs featured within the package. It's best to evaluate every TV you want to buy carefully, and write down the features that you are interested in having. This will help you narrow down your options greatly, and choosing will become easier and less frustrating when you realize what you are looking for. The usual dimensions of a 65" TV are about 56.7" 144.0 cm in width and 31.9" 81.0 cm. Many people find it hard to choose one single 65" TV. Mostly due to the overwhelming amount of options available out on the market today, it may seem impossible to choose just one product. 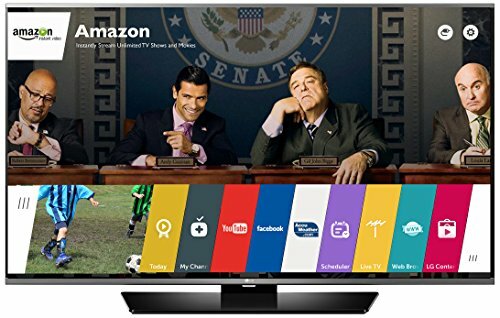 Having a good, well-rounded idea of what features you want your new TV to have, and what budget you are willing to invest, will definitely help. You should also take into consideration the fact that you will still have to pay the electricity bills, the subscriptions for your streaming programs and maybe some repair fees from time to time. Keeping a 65" TV may seem like a bigger investment when you include all of these factors, and that's why we recommend not rushing into the decision of relying on one single TV from the get-go. Take your time to explore the options available out on the market, and in time, you will be able to make a well-informed decision based on your preferences! We recommend choosing a TV that will fit with the furniture of your room; that means that some rooms may just not be suitable for curved or flat TVs. It's best to ask a specialist to see what they'd recommend. There is actually a big difference between HDR10+ and Dolby Vision. HDR10+ only offers you 1 billion colors on screen, while Dolby Vision offers you over 68 billion.